Central Bureau of Investigation (CBI) sleuths in a joint international police operation, arrested Pune-based ace hacker Amit Vikram Tiwari, a resident of Mundhwa on charges of hacking into 900 international email accounts including 171 Indian email accounts. Tiwari was arrested after US Federal Bureau of Investigation (FBI) tipped off the Indian intelligence agencies about the cyber hackers from India who were involved in largescale hacking and fraud. Based on FBI inputs, CBI officials on Friday cracked down on various locations in Mumbai, Pune and Ghaziabad to uncover the racket. Highly placed law enforcement officials said that the CBI was looking into different angles ranging -spying, corporate espionage and terrorism-related activities. The raids are part of a coordinated action between China, Romania, the US and India. Tiwari, an engineer , who runs websites called anonymiti.com and hirehacker.net has been accused of allegedly hacking into individual accounts for a fee ranging between $250 and $500. CBI registered two Regular Cases against Tiwari and unknown others U/s 120-B r/w 379 IPC and Section 66 of IT Act r/w Section 43(a), 43(g), 43(j) & 66C of IT Act. Seen is a notice pasted in Marathi language at Mundhwa Police Station which asks the policemen not to register any missing complaint related to hacker Tiwari as he was already in CBI custody. The release further said that based on the information, CBI succeeded in tracking down the prime suspect and his associates for operating websites www.hirehacker.net and www.anonymiti.com from Pune (Maharashtra). Operators of the these websites are allegedly responsible for obtaining unauthorized access to over 900 email accounts between February of 2011 and February of 2013. Out of these about 171 email accounts pertain to victims located in India. 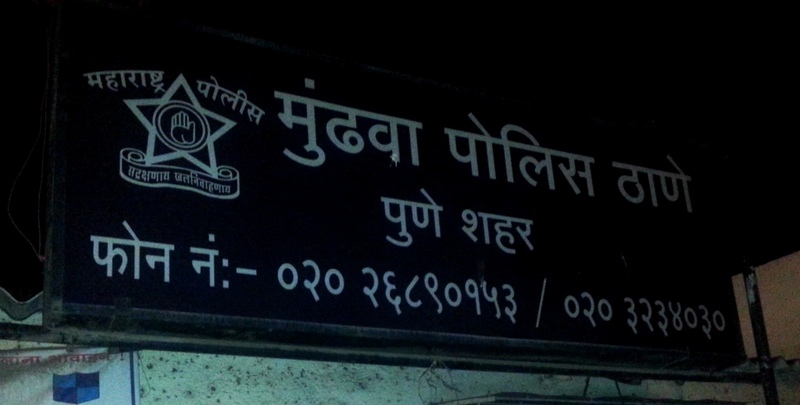 Searches have been conducted at Pune; Ghaziabad & Mumbai at the premises of accused & his suspected associates. The present operation is the outcome of international investigation coordinated and conducted by the the Central Bureau of Investigation (India), Federal Bureau of Investigation(US), Combating Organized Crime (DCCO) of Romania, and the Ministry of Public Security (MPS) in the People’s Republic of China.